US-62 Bridge & Approach Replacement - Bacon Farmer Workman Engineering & Testing Inc. This project consisted of a “pull and replace” approach to replacing an existing three (3) span concrete tee beam structure on US-62. The Average Daily traffic on this section of roadway was approximately 3,000 vpd. The total length of the existing structure was 117 feet. The existing bridge was approximately 18 feet curb to curb; however, the approaches on US-62 were wider than the existing bridge: consisting of two 11 foot lanes and 9 foot earth shoulders. The fact that the approaches were wider than the existing bridge afforded the opportunity of a “pull and replace” approach to the project. The bridge was replaced with a 40 feet wide 3-span PPC spread box beam bridge. The span arrangement of the replacement structure was (30.5’-54.5’- 55.0’) for a total length of 143 feet. The span arrangement was configured in such a manner to avoid the existing foundations and piling on the existing structure. 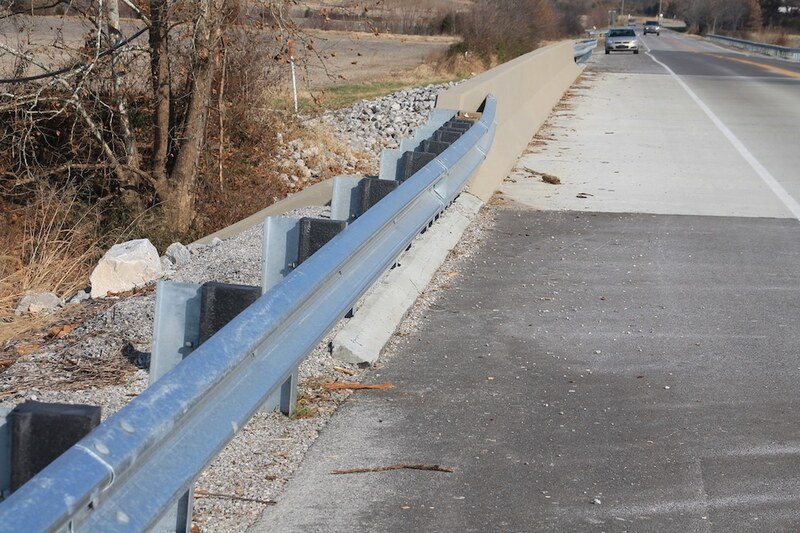 New guardrail was incorporated into the project and was tied into existing guardrail on the remainder of the project. The bridge was slightly raised to accommodate the new beam depths and provide more freeboard per KYTC drainage requirements. The bridge was closed during construction and an offsite detour was provided on other state-maintained roads in the area. The Phase I design work on this project also included looking at part-width construction on the bridge as well as an on-site diversion. The project team concluded at the end of Phase I that the temporary detour, with an expedited construction time requirement, was the most economical approach to the project.